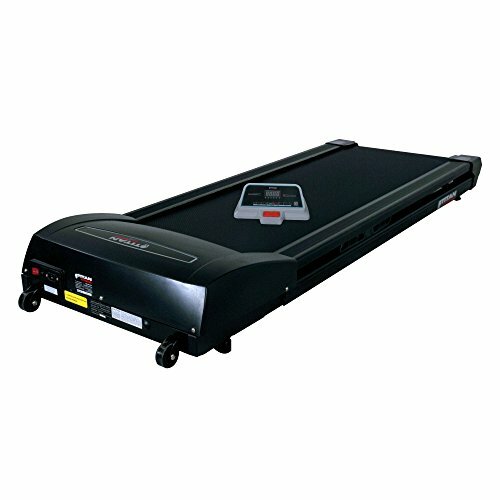 The Under Desk Walking Treadmill by Titan Fitness is perfect for staying active while you work. Designed to fit under your standing desk, this treadmill allows you to walk while you work. This product is not recommended for running. - Safety key stops treadmill if disconnected from console. - Console fits onto your desktop. - Compatible with Standing Desks. - FITSHOW App compatible see instruction manual for details. - Max. User Weight: 250 lbs. - Walking Platform Height: 6"
This electric motorized walking treadmill by Titan Fitness is designed to fit under your standing desk, allowing you to walk while you work. Overall footprint - 65" x 25" | Total height - 8"
The Under Desk Walking Treadmill by Titan Fitness is perfect for staying active while you work. This product is not recommended for running.